nanless otherwise noted, all images are my own. 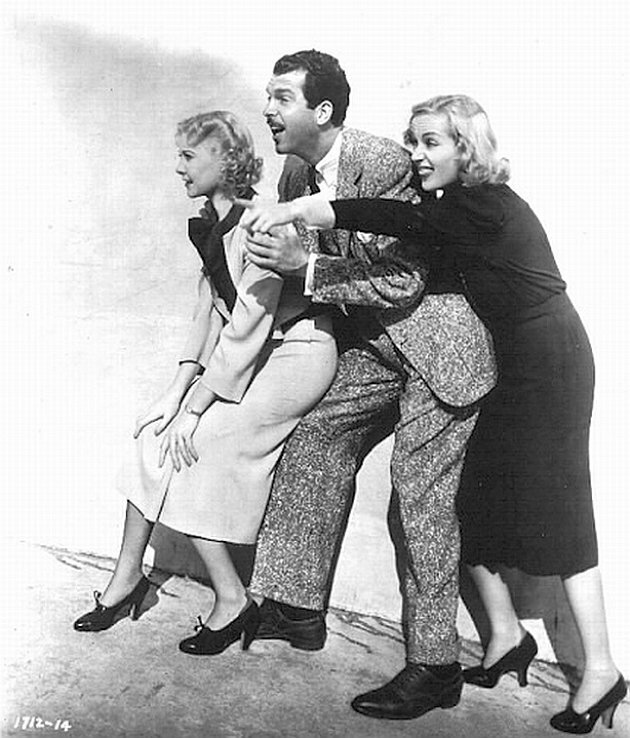 This was the fourth and final pairing of screwball duo Carole Lombard and Fred MacMurray. 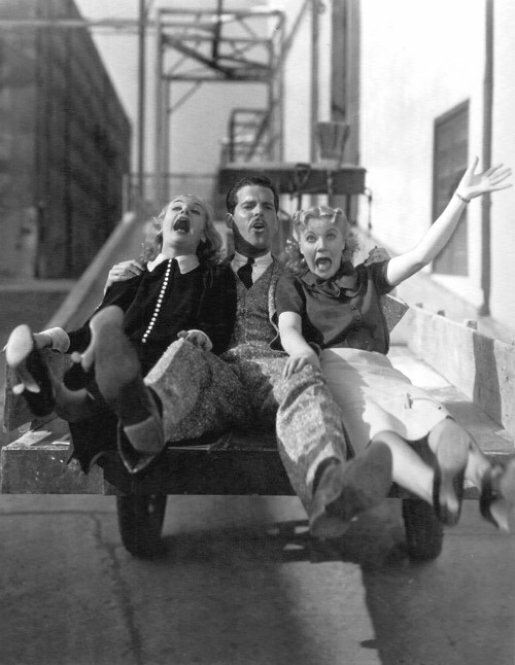 They had first appeared together in Hands Across the Table (1935), followed by The Princess Comes Across (1936), Swing High, Swing Low (1937), and finally True Confession (1937). This movie also marks the final film for Miss Lombard at Paramount, which had been her home studio for eight years. After her contract with Paramount ended, she remained a free agent and chose projects individually rather than signing with one studio. This was something that few actors were able to do since only the biggest stars commanded enough bargaining power to freelance instead of signing multi-year contracts with individual studios. But Lombard was one such mega-star. She was the “queen of the screwballs,” thanks to popular comedies like My Man Godfrey (1936) and Nothing Sacred (1937). True Confession pushes Lombard’s screwball persona even further in her role of an almost pathological liar who concocts wild stories in order to get what she wants. 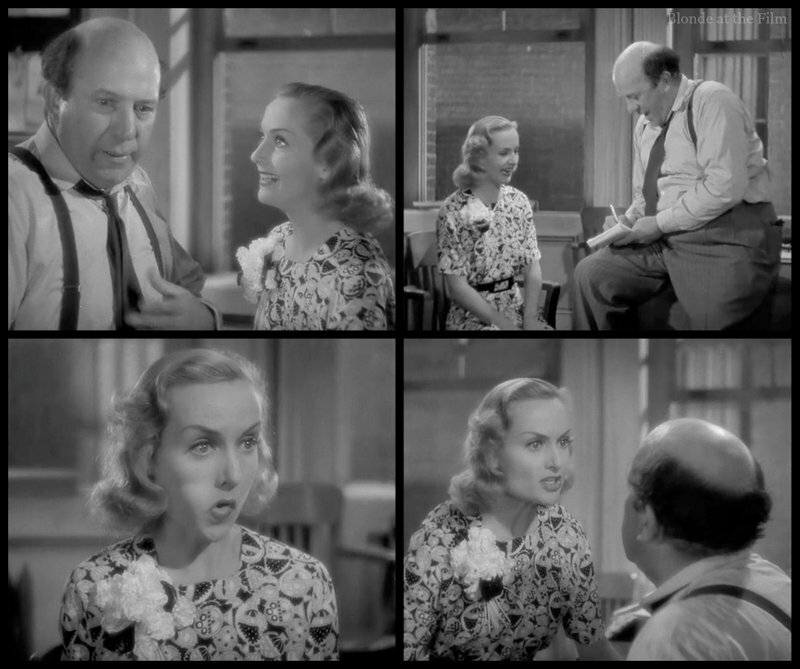 Unlike most of Lombard’s screwball characters who remain likable even at their wackiest, her character in this film verges on unsympathetic because she is such a manipulative fibber. But Lombard is able to pull it off. Fred MacMurray (TCM’s Star of the Month) might be best remembered today for his work on television in My Three Sons (1960-1973). But he was a big movie star in the 1930s-’60s. His career was enviably diverse, with comedies like those with Lombard, film noirs (Double Indemnity), war movies, and dramas like Alice Adams (1935) and The Apartment (1960). MacMurray acted opposite almost all the legendary leading ladies of the day, including Barbara Stanwyck, Katharine Hepburn, Claudette Colbert, Jean Arthur, and of course Carole Lombard. He could do it all–play the goofy romantic lead, the straight man, or the charming villain. 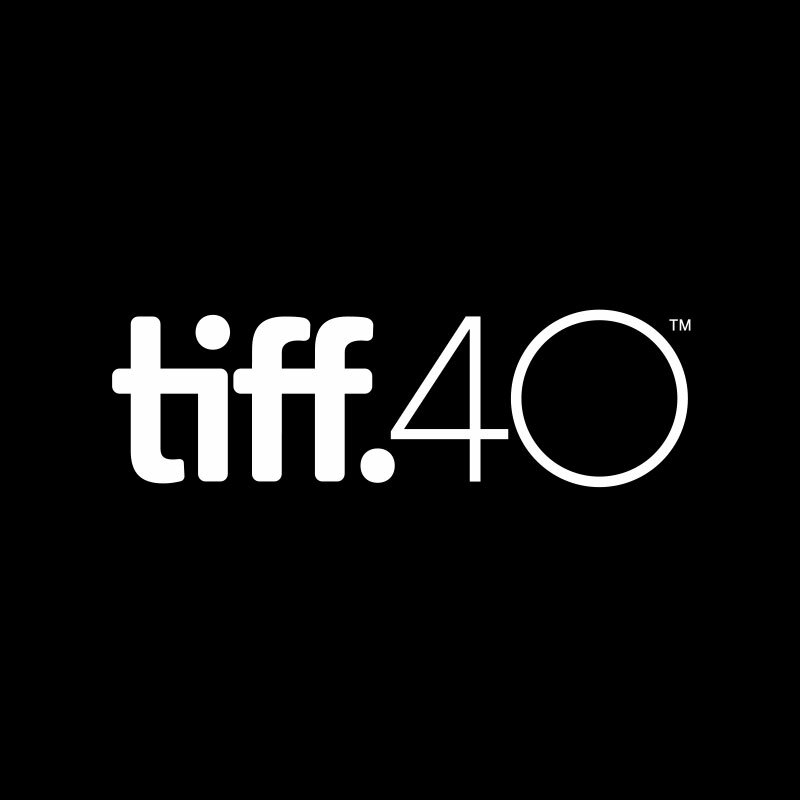 In this film, he is a classic straight man, honest to a fault, who is pushed to the limit by his fantastically fibbing wife. 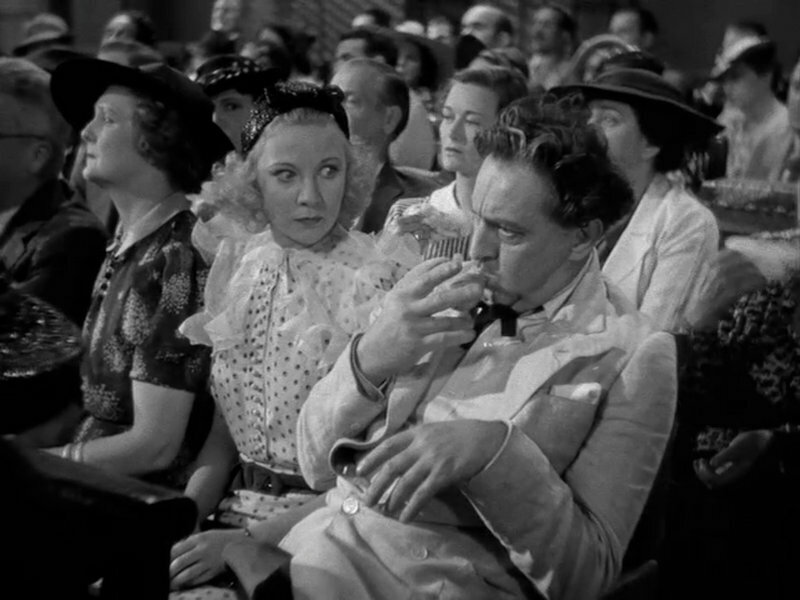 John Barrymore, who doesn’t appear for quite a while, plays a wacky “criminologist,” and Una Merkel rounds out the cast as Lombard’s best friend. 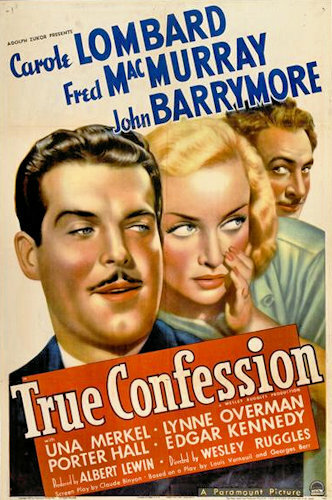 True Confession was based on a French play called Mon Crime by Louis Verneuil and Georges Berr that premiered in Paris in 1934. It almost didn’t make it to the screen thanks to strenuous objections from the Production Code Administration (more on that later). Fortunately, Paramount was able to appease the PCA and make this movie. We open on Helen Bartlett (Carole Lombard) sprinting up the stairs to her apartment. She calls her husband Ken (Fred MacMurray) at his law office with great news: their butcher’s wife’s cousin has been accused of stealing a “carload of hams” and if Ken will defend him, the butcher will forgive the Bartlett’s unpaid meat bills and send other family members in legal trouble to Ken! The Bartletts are broke, which explains Helen’s excitement over a potential client for her husband. But Ken has one very important requirement for his clients: they must be innocent. He’s a very naive lawyer who prizes honesty above all else and doesn’t want to make a living defending guilty people. He tells Helen that if the man is innocent, he will be happy to defend him. Helen begs him not to be so picky, but Ken is immovable. After talking to Ken, Helen starts some work of her own. She’s an aspiring writer, though her short stories and novels have not yet found a willing publisher. 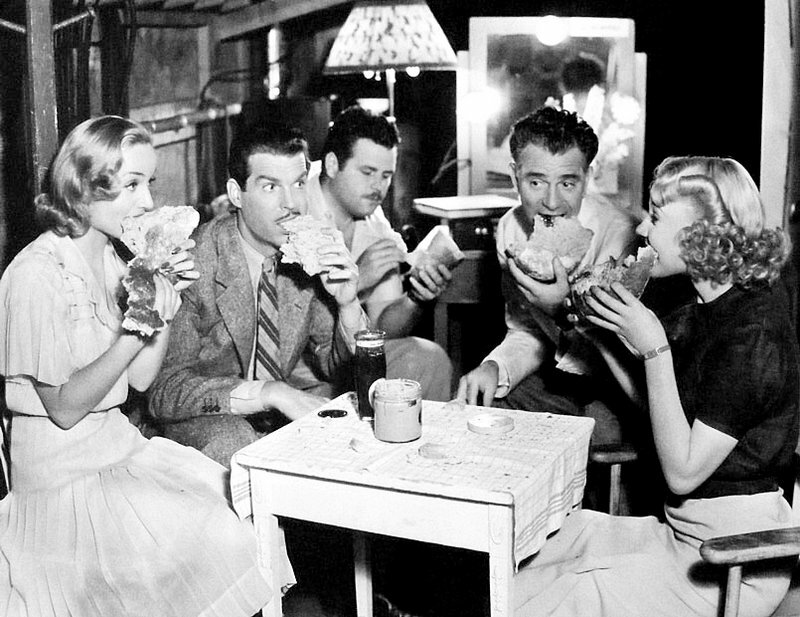 I love this scene of Helen munching on a sandwich while she starts her new novel. After typing the title, her name, and “The,” she leans back, apparently stuck. I’ll admit, it strikes a chord! Anyway, while Helen stares at her typewriter, Ken meets with the accused ham thief. The man promises that he is innocent, but when Ken asks for payment for his services, the man protests that he can’t pay him until he sells the hams! So Ken decides not to take the case. You can watch the opening scene here. Ken calls Helen to give her the news, and she is very disappointed and quite worried about their finances. So she calls a man named Otto Krayler (a friend of her father’s) and accepts the secretary job he’d offered her a few days ago. Then Helen calls her best friend Daisy (Una Merkel) and begs her to come over to discuss Helen’s predicament. Daisy is at work, though, and says she can’t possibly leave right now. So Helen lies and says that she took the wrong bottle from the medicine cabinet and accidentally poisoned herself. That gets Daisy to speed across town! She is furious when she arrives to find a perfectly healthy Helen. That’s the first big lie we see Helen tell, but they only get crazier from then on. 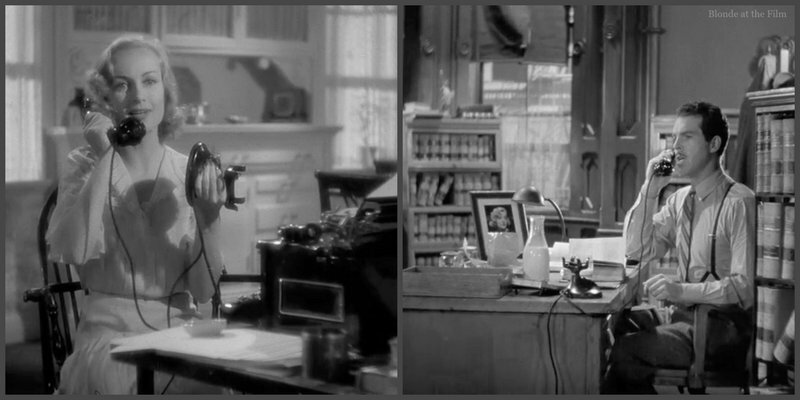 Then a man (Tom Dugan) from the typewriter store arrives to repossess Helen’s machine (she hasn’t paid the bill). Helen sticks her tongue in her cheek (her tell that she is about to lie) and comes up with a doozy. She tells the man that he can’t take the typewriter because her husband went crazy after they lost their baby, and he thinks that the typewriter is their child. She warns the man that her husband is apt to get violent if he sees him “kidnapping his baby!” Daisy is shocked, as usual, at her friend’s crazy imagination. Just then, Ken comes home and unwittingly plays right into Helen’s story by tenderly picking up the typewriter from the sofa. He reads off the title of her new novel, “My Loved One,” so that it sounds as though he is talking to the typewriter! Then he offers to mix up some “poison,” by which he means cocktails. But the typewriter man takes it literally and skedaddles. 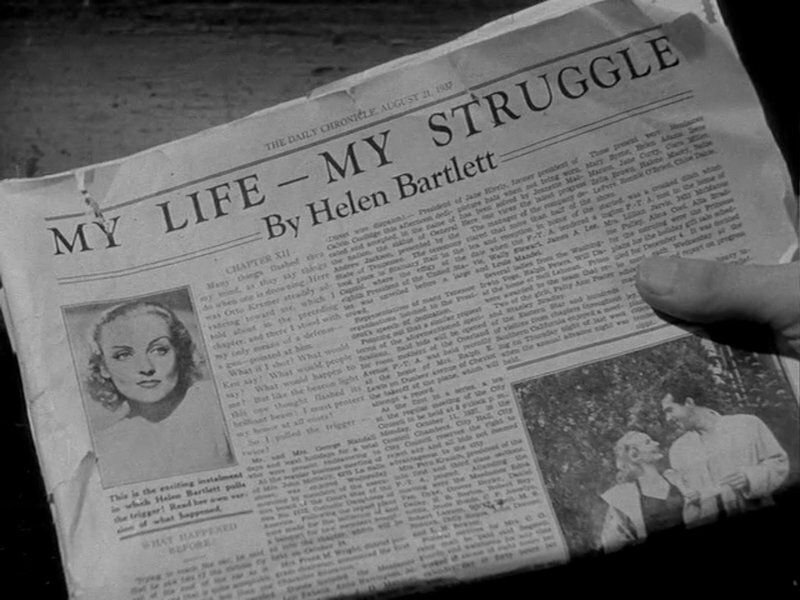 Helen gets to keep her typewriter! That evening, Ken gets mad when Helen explains how she managed to keep the typewriter. He hates that she lies so much, as honesty is his favorite virtue. She says that if she got a job and they had more money coming in, she wouldn’t have to lie so much. But Ken shoots that down in very strong terms. So she doesn’t tell him about her new job. When Mr. Krayler (John T. Murray) arrives, we begin to understand the butler’s reaction and realize that Daisy was right. Mr. Krayler doesn’t want a secretary; he wants a pretty woman to “play with” for three hours a day, five days a week. He’s paying $50 a week for the privilege, so he doesn’t understand nor accept Helen’s refusal! He chases her around the room until she punches him in the stomach and flees, leaving her hat, coat, and purse behind. Once Helen calms down, she calls Daisy and both women come back to the Krayler mansion to retrieve Daisy’s things. As they enter the house, though, police arrive and detain the women. Krayler was murdered, and Helen is their prime suspect! You can watch the scene here. Helen is taken down to the station and grilled by a very large detective. Although she repeatedly proclaims her innocence, she seems thrilled by the detective’s various theories about why she killed Krayler. He’s doing exactly what she does when she “makes up stories,” and she’s delighted by the game! So after hearing some of his “lies,” she sticks her tongue in her cheek and comes up with a very plausible story of her own. The detective thinks that it is a confession, and is terribly confused when Helen denies everything immediately afterwards. But he arrests her anyway because they find a gun in her apartment with two bullets missing, and their expert says that it matches the bullets that killed Krayler. (This expert is not very good, as we know that Helen didn’t kill him). Costume note. 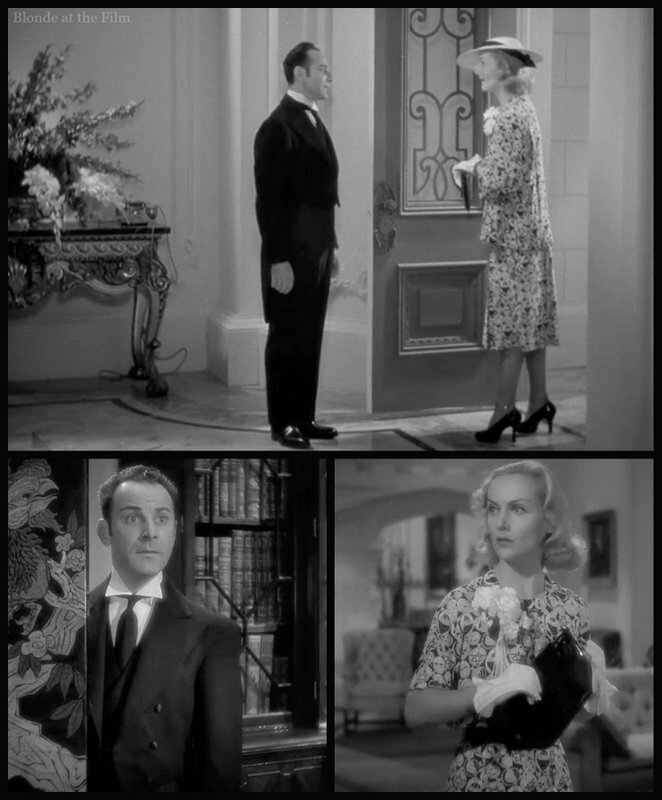 That huge bunch of flowers on Lombard’s lapel must have been all the rage in the mid-1930s. She wore another large bunch of blooms in Hands Across the Table (1935), and you can see other women similarly festooned in various films. Fun fact: Paramount’s costume designer Travis Banton designed the costumes for this film. He worked on many of Lombard’s movies, and draped her in slinky, glamorous, bias-cut gowns that were her signature look in the 1930s. And cinematographer Ted Tetzlaff, another longtime Lombard collaborator, shot this movie. She loved his work, and he shot ten of her films. Anyway, Helen is charged with murder and her husband decides to defend her. But first, he needs to know the “truth.” She tells him everything, but he doesn’t believe her. Plus, he says that if they plead not guilty and tell that version of events (the truth!) to the jury, she will probably get life in prison or the death penalty. Ken thanks her for finally telling the truth (ha!) and says that she might get acquitted if they claim self-defense. Helen is in a tough situation: telling a lie seems a much safer bet than telling the truth. Plus, she realizes that this case could make her husband’s career. A handsome young lawyer arguing in defense of his brave wife, and for womankind the world over? He could become a famous lawyer after that! It’s settled. Helen will claim to have shot Krayler in self-defense, perjuring herself but hopefully getting acquitted and bolstering her husband’s law practice at the same time. Daisy is the only one who knows the truth, and she is terribly worried about Helen. She comes to the jail the morning of the trial to help Helen get ready, and as she pins the white cuffs to Helen’s suitably chaste black dress (a weirdly fascinating task), she begs her friend to reconsider. But it’s too late! Plus, Helen can’t bear to have Ken know that she lied to him and didn’t actually kill Krayler! It’s an ironic conundrum. Meanwhile, the film cuts to a seedy bar where a Mark Twain lookalike in rumpled linen bores the bartender with his philosophies (people are like balloons, getting fat and round, until life either pops you or squeezes everything out of you) and his grand, delusional self-image. 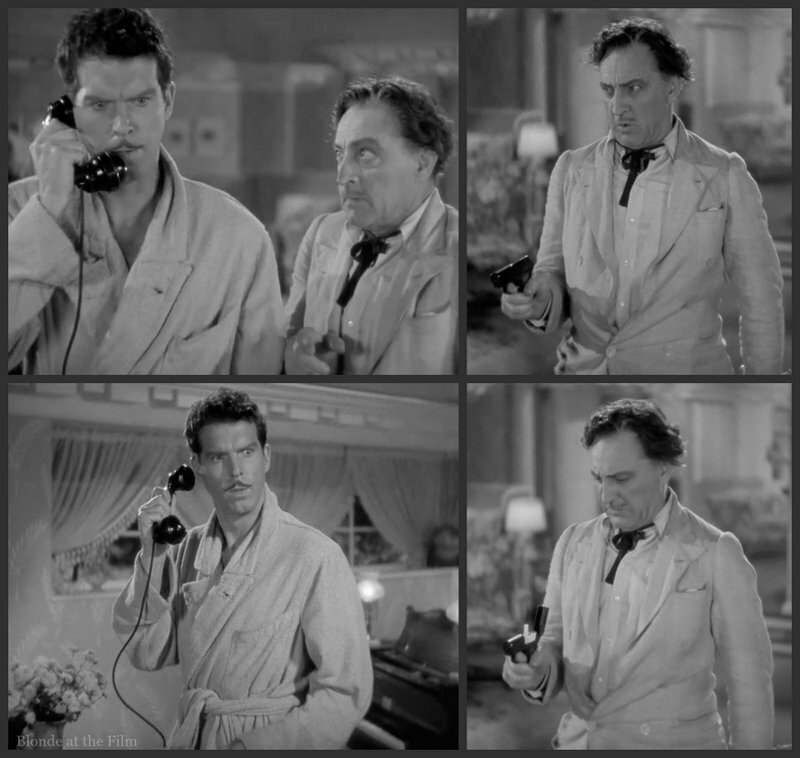 It’s Charley Jasper (John Barrymore), a penniless drunk who claims to be the world’s foremost criminologist. He’s extremely interested in Helen’s case and keeps insisting that she will “fry.” Then he heads off to court to watch the proceedings. The score bounces along with this shabbily dapper man to create a leitmotif of wind instruments. An oboe makes the music especially whimsical and even cartoonish to match Charley’s character. We’ll hear this theme almost every time Charley appears onscreen. 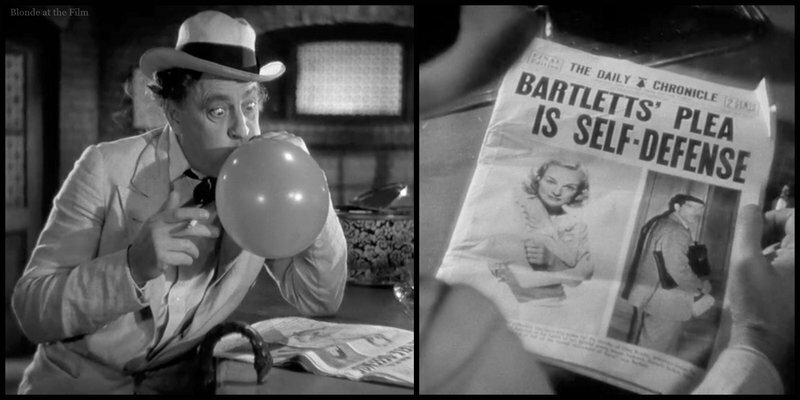 Fun fact: Lombard had starred opposite John Barrymore in her breakthrough film, Twentieth Century (1934). They had become friends, and Lombard always remembered how Barrymore had helped her through her first real comedy. When she signed on for True Confession, she lobbied to have Barrymore cast in the Jasper role. This was an uphill battle, as Barrymore’s health had begun to deteriorate quite quickly due to alcohol abuse. He no longer looked like a handsome leading man, and he had terrible memory problems that made learning lines nearly impossible. Studios were hesitant to cast him in important films or large roles because he was so unreliable. (For more, visit my post on Midnight (1939).) But Lombard got him cast, and she asked screenwriter Claude Binyon to beef up his role. She also insisted that Barrymore get third billing above the title. Lombard was a great person to have on your side! 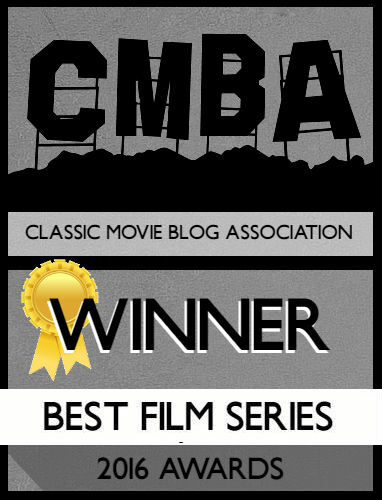 Back to the film! Charley arrives in court and squeezes in next to Daisy where he annoys everyone with his balloons. The trial is proceeding as one might expect. The aggressive prosecutor (Porter Hall) attempts to prove that Helen is a bad woman who killed Krayler in cold blood, and Ken attempts to portray his wife as a good woman who killed lecherous Krayler to protect her virtue. 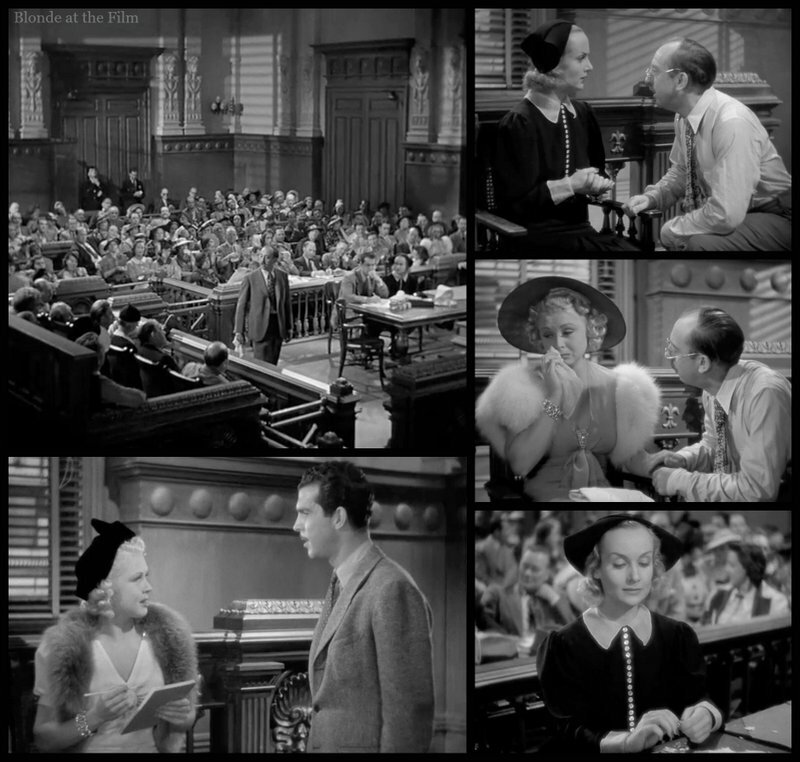 There’s an especially funny moment when Krayler’s other “secretary,” the blonde bombshell with all the diamonds, takes the stand. First, she elicits sympathy under the prosecution’s cross-examination, but then the tables turn and everyone laughs when Ken proves that she doesn’t know shorthand, either. (That had been a sticking point–why would a nice lady like Helen take a secretary job in good faith when she didn’t know shorthand?) Ken proves that Krayler hired women without basic secretarial skills all the time. After a thrilling reenactment by Helen and Ken, which is accurate in all respects (besides the key fact that Helen didn’t really shoot Krayler), Ken gives an impassioned closing statement. Helen watches her husband excel with glee. Time has passed but Charley is still hanging out at the bar. He’s furious that the Bartletts have found so much success post-trial. Helen is selling stories and novels left and right, and making quite a lot of money giving lectures now that she is a celebrity. And Ken’s practice is thriving after his high-profile victory. They’ve bought a house on a lake and are living a fabulous life. Is Charley the real murderer?! That would explain his strange interest in the case. Cut to the Bartlett’s beautiful lake house. Life is pretty perfect, though Ken wishes it wasn’t because his wife killed a man. It’s not exactly the good, honest path to success he’d always envisioned. So Helen asks him “Wouldn’t it be perfect if we had all of this but I hadn’t killed Krayler?” He says “Yes,” and she’s about to tell him the truth, finally, but then he goes on a rant about how that would actually be horrible because it would mean that Helen lied to him about something huge, committed perjury, and got Ken to make a mockery of justice. Plus, the real murderer would still be running around loose. So she holds her tongue. 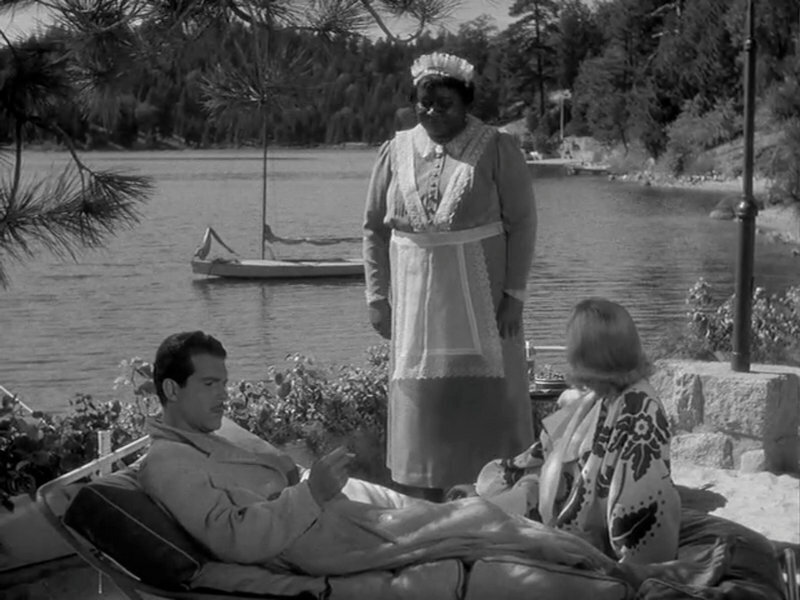 He gets even more upset when their maid Ella (Hattie McDaniel) tells Ken that her husband is cheating on her, and asks that if she was to shoot him, would Ken get her off a murder charge? He runs away into the lake, his poor naive pride sadly wounded. Remember, he never wanted to defend guilty people in the first place, and he hates that his reputation is now founded on that very thing. We get a cheesecake shot of MacMurray, and then one of Lombard as she chases after him. Those are some teeny tiny swim shorts, Mr. MacMurray! 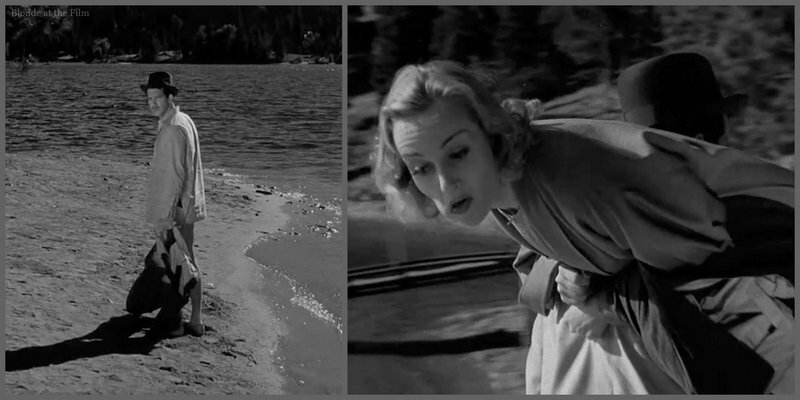 Ken refuses to come back and talk to Helen, so she sticks her tongue in her cheek and pretends to be drowning. He comes back at once, realizes she is faking it, and pushes her under the water. Then she really does start to sputter and falter. So he rescues her for real. And mostly all is forgiven. Here are MacMurray and Lombard between takes in their swimsuits. So glamorous! That evening, Daisy arrives to help Helen with her new novel (Daisy actually knows shorthand!) There’s a cute moment when we see the upside of Helen’s pathological lying: she sticks her tongue in her cheek, and Daisy says, “Here we go!” excitedly and starts scribbling as Helen begins spouting a fantastic story. 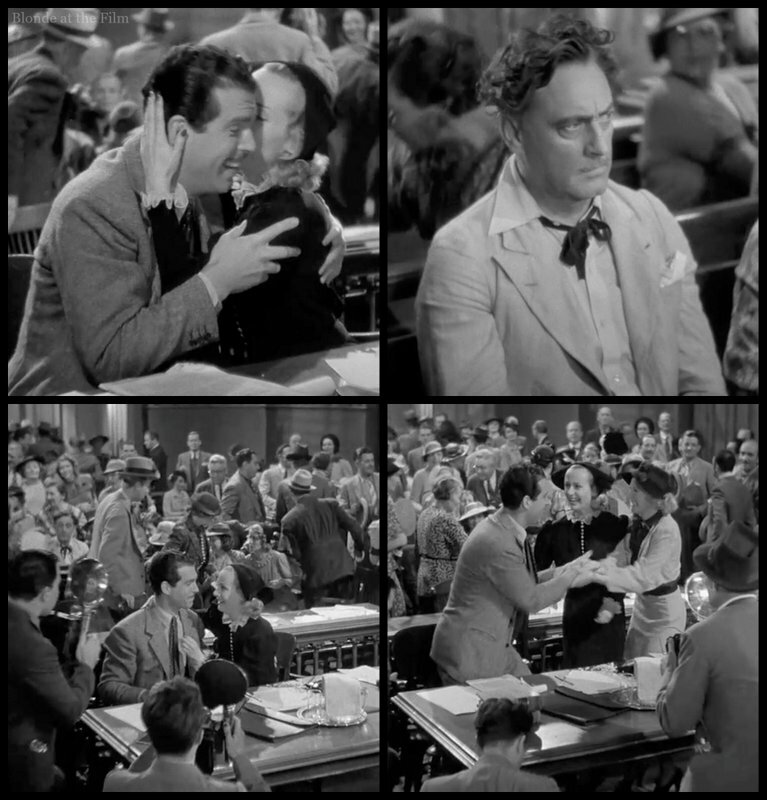 But then Charley shows up and tells Helen that she stole his “perfect crime!” He shows her the wallet, and says that unless she pays him $30,000 he will tell the police the truth: that he killed Krayler and that Helen committed perjury. Things get quite intense, especially after Helen admits to Ken that she didn’t actually kill Krayler. Charley watches it all with glee. Ken sends a distraught Helen and Daisy outside so he can talk to Charley. Honest Ken doesn’t even entertain Charley’s demands. He calls the police to turn Charley in, deciding that it’s better for the real murderer to face justice even if it means that Helen goes to prison for perjury and they lose their lovely new lifestyle. But Charley was bluffing before about not being afraid of the police, and he pulls out a gun. But it’s actually a cigarette holder, so Ken isn’t in danger. And after that silly attempt to threaten Ken, Charley crumbles. He admits that he didn’t actually kill Krayler. His brother-in-law was the real murderer (he killed Krayler for money), but he was shot to death about a week after Krayler’s death in a hold-up. Charley found Krayler’s wallet in his brother-in-law’s things, and decided to use it to extort money from the Bartletts. But now that Ken has called his bluff, Charley has nothing left. He sails away across the lake, grandly theatrical until the end. 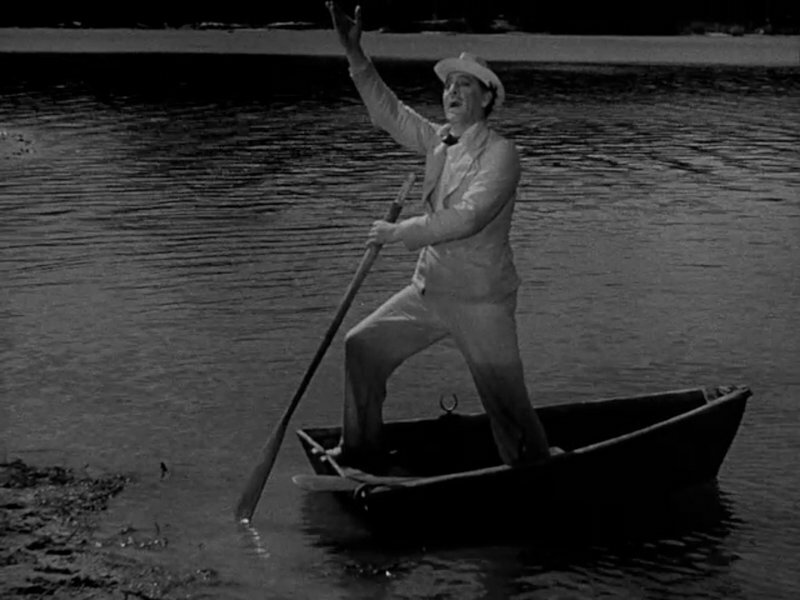 The same jaunty leitmotif that accompanies almost all of his appearances follows him across the lake. Goodbye, Charley! Despite all of Barrymore’s troubles, he still manages to steal every movie he is in. Ken has saved Helen from Charley’s blackmail, but now that he knows the truth he has decided to leave her. He can’t stay with a liar. He collects some clothes and storms out of the house while Helen begs him to stay. The farcical nature of the film becomes especially strong in this scene. It’s hilarious to watch them have such a serious conversation while Ken is wearing his swim trunks and a hat. He strides towards the lake trying to pull on his pants as he goes. Helen follows, but nothing she says works. So she goes for a very big lie. She yells after him, “If it’s a boy, I’ll name it after you!” That brings Ken running back, but she can’t sustain the lie under his ecstatic questions about when the baby is due and what the doctor said. So he turns away again in utter disgust at his dishonest wife. Daisy watches it all from the window. Ken is halfway down the beach again when Helen shouts that even though she lied about being pregnant, “Well, it could be true!” Ken pauses to think about that. Then he comes slowly back, seemingly making peace with the fact that his wife is an incorrigible liar who will say anything to get her way. But he still loves her! He throws Helen over his shoulder and says that he’ll teach her not to tell lies as he strides towards the house! She sticks her tongue in her cheek and swears that the pregnancy lie was the last one she’ll ever tell! We refer to the play upon Helen’s suggestion that she is pregnant and the further action and dialogue which suggests that Ken carries her into the bedroom for the purposes of making her lie come true. We earnestly recommend that you delete from your picture all suggestions having to do with the sexual relationship between Ken and Helen….the business of showing Helen taking Ken’s trousers from him should be dropped. The dialogue about the baby and the doctor should also be dropped. Particularly important is the necessity for deleting the line, “Well, it could be true,” which plants and points up the suggestiveness of Ken carrying her into the bedroom. Three days after Breen wrote that letter, there was a meeting between Paramount producers John Hammell and Albert Lewin, the director Wesley Ruggles and Geoffrey Sherlock, an assistant to Breen, to discuss True Confession. Mr. Ruggles arrived with the brusque announcement that he had only three minutes to give to the discussion, that he was mad, and wanted to know what the “score” was. He wound up with the repeated announcement that we read “dirty things” into scripts. Upon my insistence that this was not true, he left the conference. 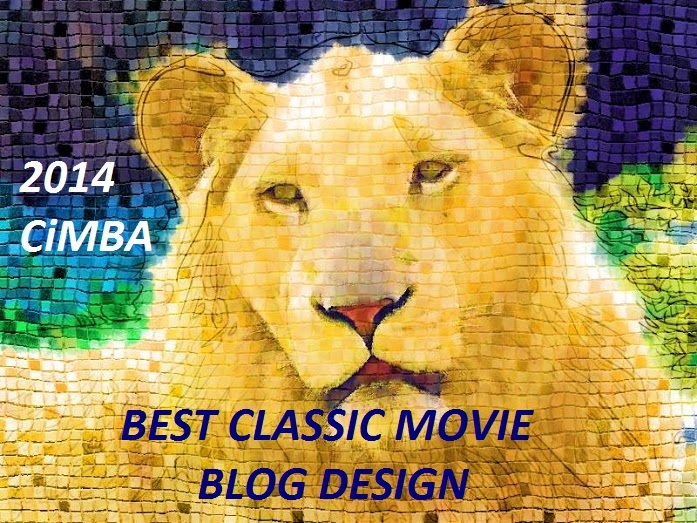 When I asked what the scene intended to convey, if not the husband’s intention of sleeping with his wife, Mr. Lewin vaguely explained something about good taste, mood, and said that some people could get out of it whatever they chose…. [Lewin] incidentally explained that the scene was not actually to be shot as written; that is, the set would not contain stairs to a bedroom. Ken would simply carry his wife out of the room. Mr. Shurlock expressed the opinion that this change might helpfully effect the flavor of the scene….no mention was made by the gentlemen of Paramount of the fact that our letter of August 31 set forth our understanding that the ending was still open to objection and gave clear indication that the scene should be handled to indicate that Ken was going to spank his wife. …we will shoot the ending of the picture as you read…exercising in the handling of same that care and good taste explained to you verbally so that there will be nothing whatever of an offensive nature in this ending which can be interpreted as a violation of the Code. …which is how we get to the ending by the lake in which Ken’s intentions are much more ambiguous than perhaps originally intended. But the PCA was far from satisfied. Indeed, they deemed the entire film unacceptable due to its overarching theme of deceit and getting around the law. In an early explanation of why he was denying the film PCA approval, Breen wrote that because “there [was] no attempt to indicate that the ‘processes of law’ are to prevail, with regard to the perjury of Helen,” he couldn’t let the movie be made. …there should be some indication at the end of this story that Helen’s technical perjury is to be confessed to the proper legal authorities….We think you might easily meet with this technical objection under the Code by the insertion of a line, spoken, possibly by MacMurray, suggesting that he feels bound to make known to the judge, or the district attorney, or whoever is the proper person, that his wife has been guilty of perjury and that she will have to take the consequences–that he is helpless to save her–or some such line. If such a line could be inserted, we feel that from the standpoint of the Code the picture could be made acceptable….It is our considered judgment that these court scenes…suggest the possibility of their being interpreted as a “travesty on the courts and the administration of justice.” Such an interpretation would be enormously dangerous from the standpoint of general industry policy. I have directed Mr. Breen to issue the formal certificate of approval for this production. In doing this, I wish to make it clear, for the record, that it is my judgment that the scenes under discussion are of questionable acceptability and are saved from positive offense by the general farcical nature of the entire production and the grotesqueness of the scenes in the court….there is great danger, from a social standpoint, in suggesting by way of the screen, a too-flippant portrayal of the courts of justice. After all of that drama, the film was released on Christmas Eve, 1937 to good reviews and box office. It is not usually mentioned as one of Lombard’s best films, and indeed, critics disagree about where it should go in the screwball canon, but I find it enjoyable. How could it be otherwise with Lombard, MacMurray, Merkel and Barrymore? 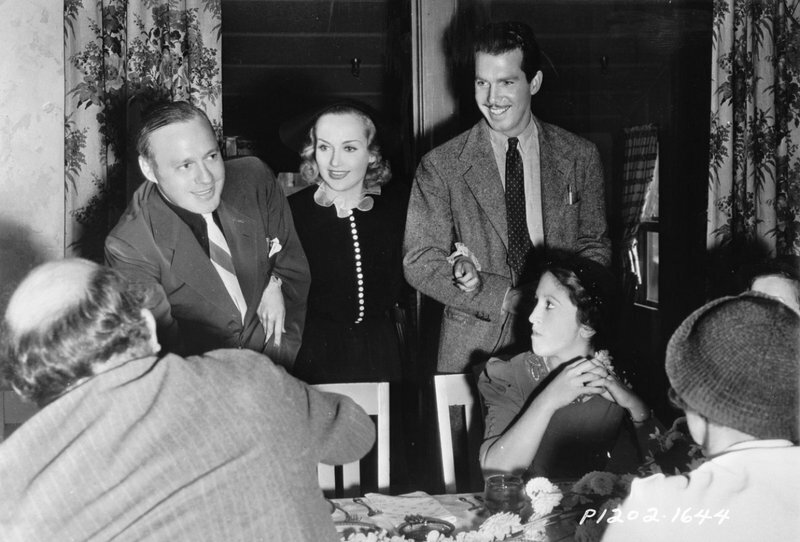 In April 1941, MacMurray and Lombard reunited to perform a radio version of the movie for Screen Guild Theatre. You can listen to it here. 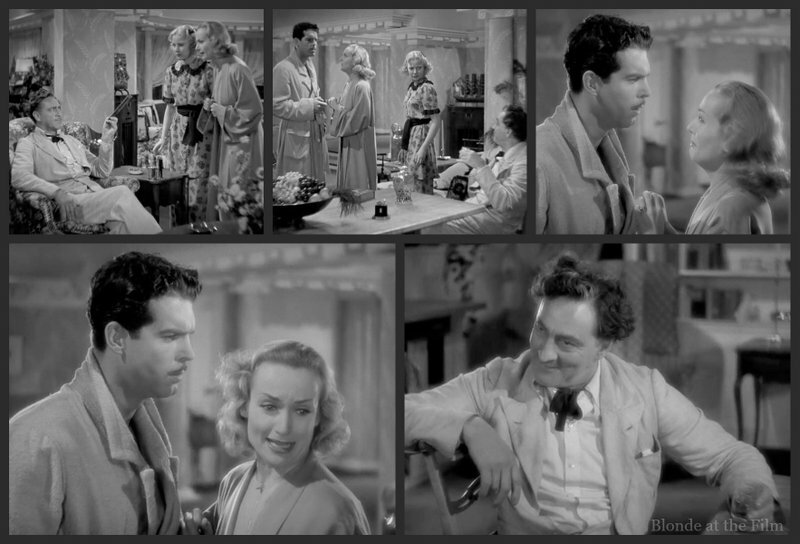 And five years after that, True Confession was remade as Cross My Heart (1946) with Betty Hutton, Sonny Tufts, and Michael Chekhov. 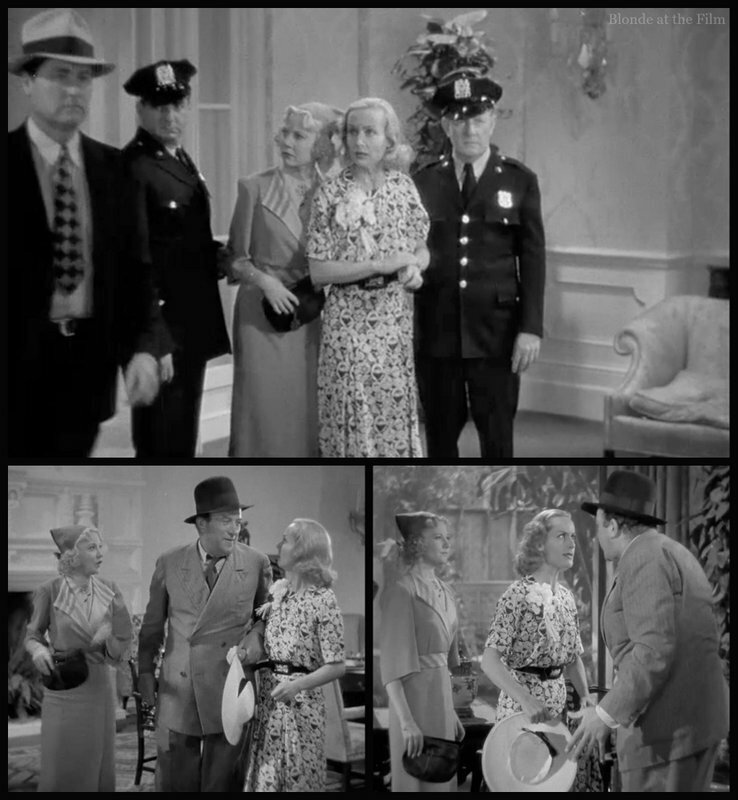 Fun fact: Lombard’s performance as Helen apparently inspired Lucille Ball‘s work on I Love Lucy. You can see the similarities: a wacky woman (and her more straitlaced friend) who is always getting into scrapes but has no problem resorting to lies or tricks in order to get her way or keep her husband happy. 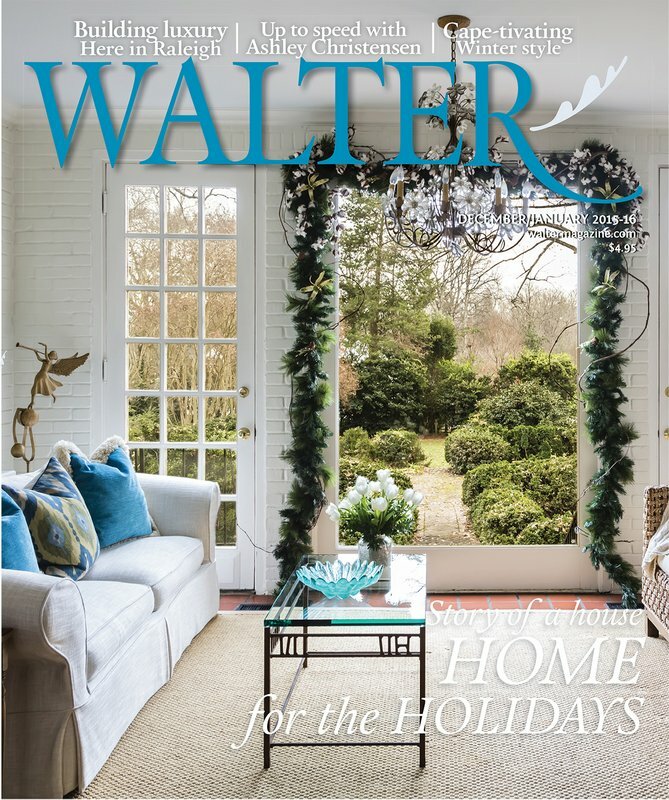 For a great look at Helen Bartlett/Lucy, visit this blog post. For more, follow me on Twitter, tumblr, Pinterest, Instagram at BlondeAtTheFilm, and Facebook, and you can buy this movie here. As always, thanks for reading! On my list 🙂 . Fred looks so different with a mustache! Dashing, but so different! I agree! His mustache is crazy! Wow! That’s a dashing ‘stache! It is interesting to learn about Fred MacMurray’s history before being the serious father in the “My Three Sons” series. He was quite debonair! He had an amazing career! That is a hard transition! He is so good at being a nasty guy in that movie! 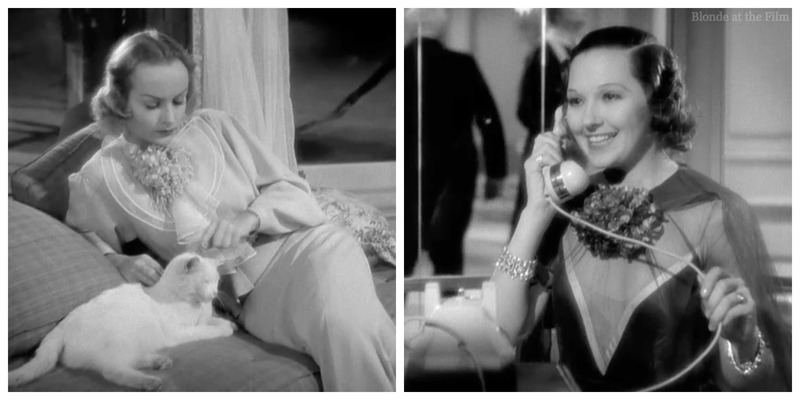 You mention that her and MacMurray also appeared together in Swing High, Swing Low (1937). I saw this in a pretty damaged print at the weekend but that didn’t take anything away from the dazzling chemistry of the leads. 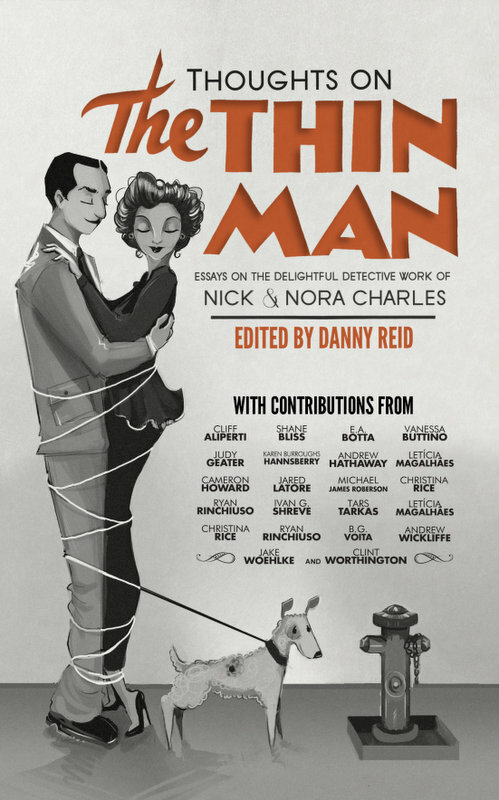 It’s a lovely little story that starts off in typical screwball fashion, complete with a classic “meet cute” but becomes something altogether darker and I found it profoundly moving. Do you think you will cover it in the future? Thanks for this comment! 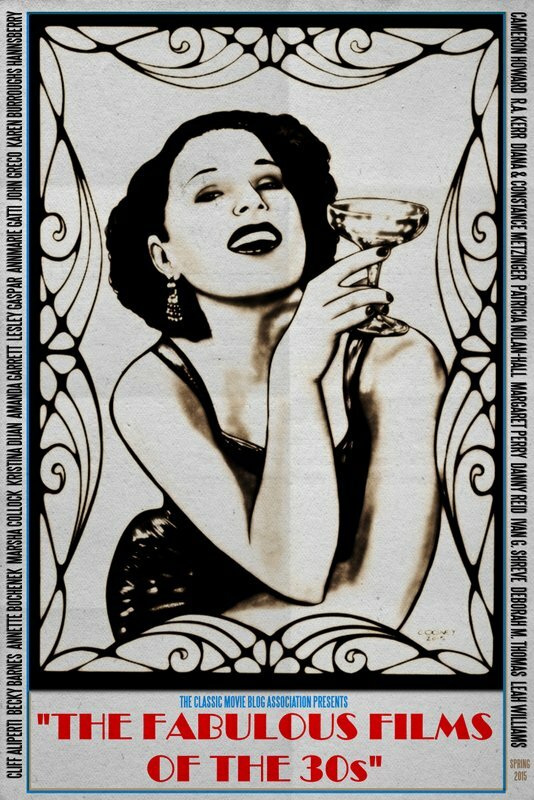 I might write about Swing High, Swing Low! I totally agree with your description of screwball-turned-dark-drama. The first time I saw it I was shocked because I expected another lighthearted comedy!